Office Location: Clearwater, FL. Employees can also work full time from this office. 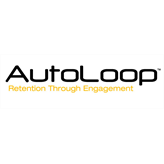 AutoLoop has become the leading provider of marketing solutions for effective and profitable customer relationship management at the automotive dealer level. Our proprietary software utilizes unique targeting capabilities, facilitating the alignment of effective communications. It also capitalizes on our extensive data analytics to dramatically increase dealer profitability. With over 45 million customers in our database, and nearly 800 million customer communications initiated, we’re passionate about being America’s best customer retention partner for progressive dealerships. Want to get notified about new jobs at Loop, LLC?